When a homeowner stops paying on a loan used to purchase a home, the home is deemed to be in foreclosure. What it ultimately means is that the ownership of the home switches from the homeowner to the bank or lender that provided the loanMortgageA mortgage is a loan – provided by a mortgage lender or a bank – that enables an individual to purchase a home. While it’s possible to take out loans to cover the entire cost of a home, it’s more common to secure a loan for about 80% of the home’s value..
During the initial stages of foreclosure, the bankTop Banks in the USAAccording to the US Federal Deposit Insurance Corporation, there were 6,799 FDIC-insured commercial banks in the USA as of February 2014. The country's central bank is the Federal Reserve Bank, which came into existence after the passage of the Federal Reserve Act in 1913 or lender actively seeks to resolve the debt and return ownership of the home to the buyer. However, after significant time’s passed, the lender often simply issues an eviction notice to the buyer. They determine that recouping the loan will best be accomplished by putting the home back on the market and selling to a new buyer. 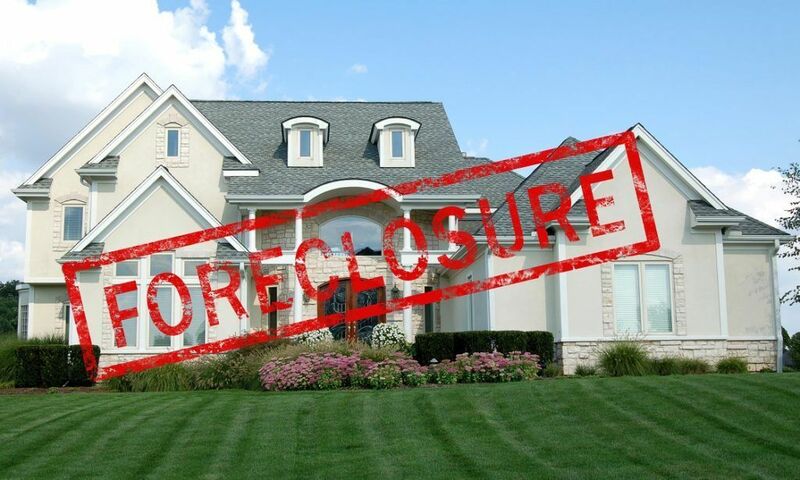 Homes in foreclosure are owned by the lender that provided the individual or family with money to purchase the home. If the debt is never paid off, the lender then owns the home outright. The goal, typically, is to then sell foreclosures in bundles. If the lender is willing to sell a foreclosed home on an individual basis, it will be listed with a realtorCommercial Real Estate BrokerA commercial real estate broker is a middleman between sellers and buyers of commercial real estate, who helps clients sell, lease, or purchase commercial real estate. A commercial real estate broker has the freedom to work either as an independent agent, or as a member of a commercial real estate brokerage firm..
One more major culprit in foreclosures needs to be mentioned, and that is an economic depression. One of the best examples is the housing market crash of 2007/2008. Home sales and prices soared and led to inaccurately priced subprime mortgages. Eventually, the bubble burst when home prices started to drop, causing a full collapse of the housing market and, inevitably, a large-scale economic crisis. Many people were left underwater on their home mortgages – owing more on mortgage loans than their homes were worth – after the crash and opted to walk away from their homes because it was more cost efficient to do so. In such cases, families invited foreclosure because it was cheaper to walk away than continue to pay on a home that was worth far less than it would cost them in the end. The information surrounding foreclosures, how and why they occur, and what happens afterward is extensive. To keep it simple, it’s important to understand that foreclosure is a result of unpaid loans/failure to pay off a mortgage. An individual who fails to make payments will see their loan go into default first. After 90 days, the lender can give an official notice of foreclosure and, if the debt remains unpaid, take full ownership of the property.